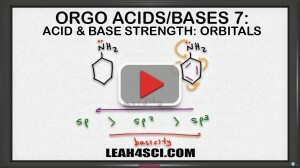 Acids and bases are crucial when it comes to organic chemistry. Not those crazy ice charts and pKa calculations. 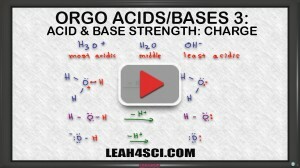 At the organic chemistry level you will be asked to differentiate and rank acids and bases by looking at their molecular structure and comparing their reactions. This shows up early in Orgo 1 when you learn the material, then again when ranking the reactivity of bases in elimination reactions, and again in Orgo 2 when studying stability of complex molecules. As an orgo tutor I am often frustrated by the manner in which this material is taught. My students come to me all confused with data they memorized but don’t understand. 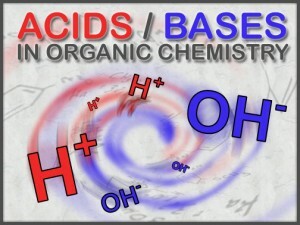 And so I created what I hope is a complete resource to help you really GET acids and bases. 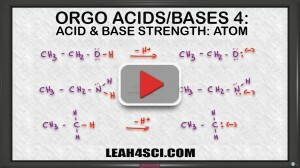 Be sure to watch each video to learn the information, then download my FREE Acid Base Cheat Sheet to take your studies on the go. 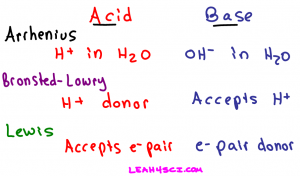 And when you feel ready, see how you do on my Acid Base Practice Quiz. 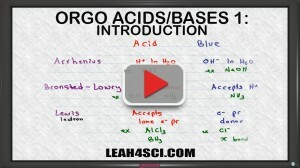 The first step to ranking acids and bases it to UNDERSTAND acids and bases. This video takes you through the Arrhenius, Bronsted-Lowry, and Lewis definitions from a logical rather than memorization perspective. 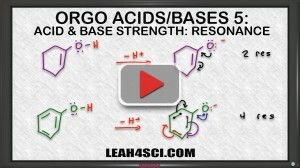 This video also shows you how to recognize the acid/base in a conjugate reaction pair. 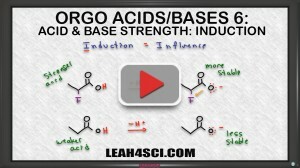 This video may very well be the missing link between your textbook and acid/base ranking logic. 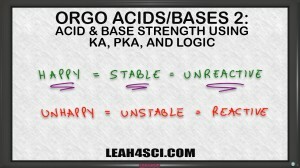 Start by learning how to understand ka/pKa/acid strength relationships, then learn about what you REALLY need to understand for strong and weak acids.